We provide you the best information and reviews for playing online craps. For those who don’t already know how to play craps, or don’t understand the rules, we’ve also written a number of pages on how to play craps and the types of bets you can make. Why Make a Website About Playing Online Craps? 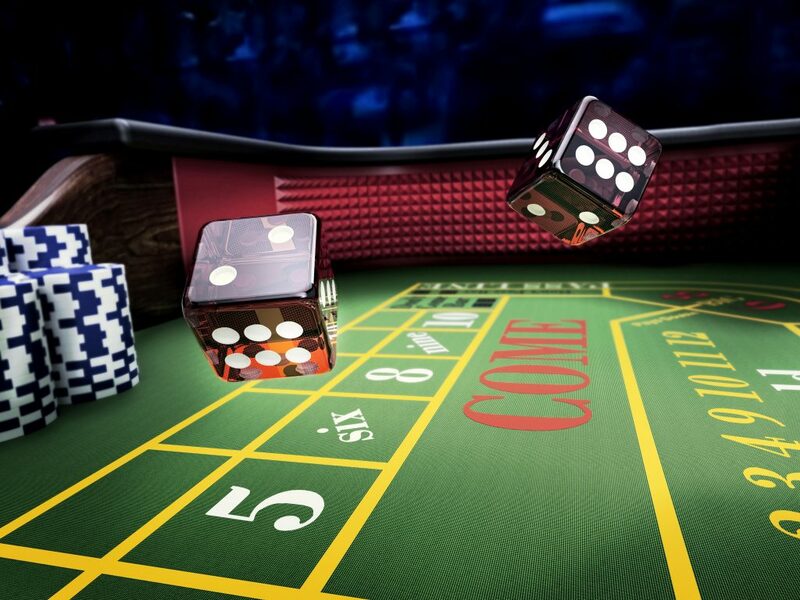 Craps is something of an unknown entity in casinos. Everyone knows it’s a game that involves dice, and it is commonly featured in TV and movies as the stereotypical casino game, but if you ask most people they have no idea how to play the game. We created this website in order to help new players learn craps and understand the game better. The game’s basically about betting on rolls of a dice, but the rules make it more complicated and if you don’t take the time to learn craps strategy then you’ll end up losing a lot making unprofitable bets. So, in conclusion, our website has been designed to help you play craps profitably, learn the rules of the game and identify the best place to play online craps. Our team consists of a number of casino enthusiasts, who find real money craps one of the most exciting table games. We have been passionate about it for years, breaking the stereotype of the craps as a game that does not need any skills to be played. In fact, to shoot dice might not require any specific strategy studies, but one has to know the basic wagers. On this website, we share our knowledge, passion and recommendations about everything that concerns online craps for real money. We provide information on the best casinos that offer real money craps. We review their bonuses and offers for the players, making sure that no single user will fall for the tempting design and graphics without having any serious and legible game options. Our team will help you find the best quality online casinos, as well as help you understand the rules and strategy for winning money at online craps. The breakdown of the best casinos that offer online craps present the options that we believe in and use ourselves, we are committed to feature online spaces that ensure safe entertainment and do not treat their users in neither of ways. Gambling is fun and nothing else but fun! Although we are extremely enthusiastic about casino games, particularly our favourite craps game, we always make sure that our passion remains a hobby, not addiction. Similarly to a number of other casino games, it might be extremely easy tempting to play more than we should. However, when the fun stops – the game should stop, too. We encourage all the users of this page to gamble responsibly, ensuring gambling is entertainment in moderation. Please visit our dedicated page of Responsible Gambling to find out more.